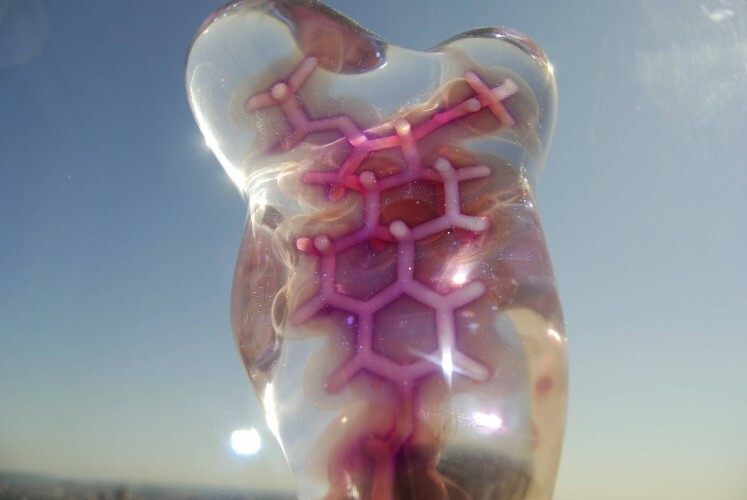 Estrogen (2006) is an illuminated sculpture in the shape of an estrogen molecule, etradiol benzoate, designed by Mara G. Haseltine. 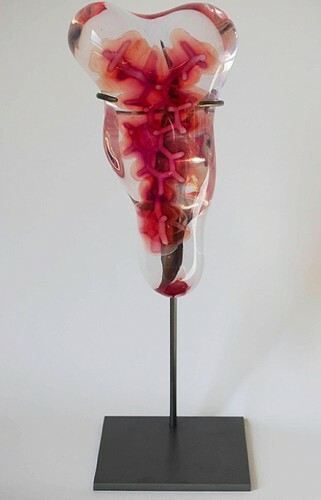 The sculpture was designed to be used as the trophy awarded to winners of the Medtronics Award, which is given by the Society for Women's Health to an outstanding female scientist. 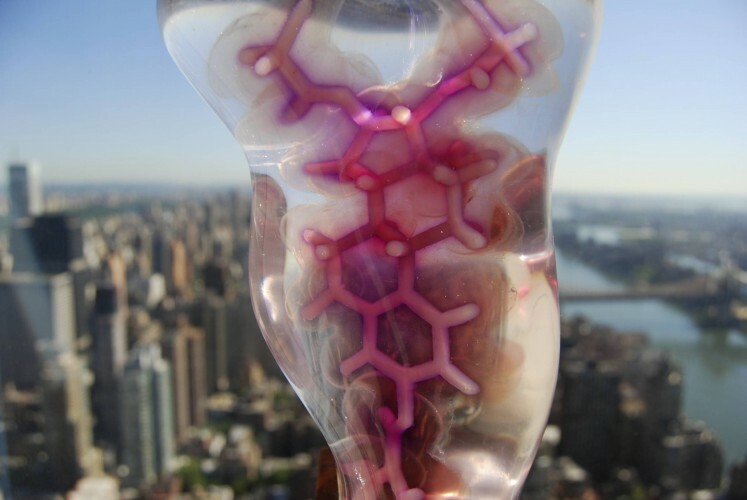 Materials: SLS plastic in triple embedment of cast acrylic.